The best bank maximizes the value of your money with a variety of financial services, high earning potential, and low fees. Online banks are in a great position to perfect the banking experience on all three fronts. Lower overheads compared to traditional, brick-and-mortar banks allow them to offer competitive interest rates while shedding annoying fees. But banking isn’t only about the money; a great bank also makes transactions convenient and provides customer support. Digital or direct banks handle all business online or via mobile apps. Without physical branch locations, online banks have a leg-up on the financial schema of traditional banks. "Because brick-and-mortar banks have to maintain their branches and branch employees they have to charge fees to customers in order to subsidize this cost. A digital bank can offer customers no to low fees and higher interest on savings since it doesn’t have these high overhead costs." 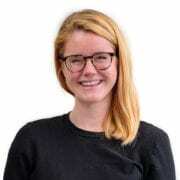 We started with a list of all the direct banks we could find — giants like Ally, plus slightly less well-known options, like Bank5 Connect or Simple, that came cited by industry resources like NerdWallet. To compare banks, we started with the Federal Deposit Insurance Corporation (FDIC), a government organization that insures private bank accounts. If your bank fails, the government will reimburse you (typically up to $250,000). FDIC insurance is an important safeguard, as it demonstrates that the government is confident in the bank’s financial stability, so we expected our contenders to have this stamp of approval. 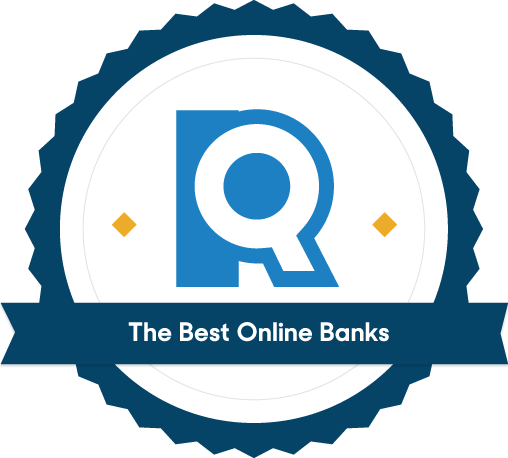 Almost all the online banks we looked at made the cut, except for credit union Alliant. We gathered information on interest rates, account minimums, service charges, and ATM fees straight from our contenders' websites. Banks that are transparent about their practices put these numbers front-and-center. With First Internet Bank, for example, rates and fees are just one click away from the homepage. Others didn’t make it so simple. We cut banks like E-Trade, which breezes over big things like overdraft fees without giving any specifics. Banking online shouldn’t limit your options, so we cut any contenders that didn’t offer all the accounts and financial services you’d expect from a regular bank, like savings, checking, certificates of deposit, and loans. While relying on a single entity to serve your every money-related need isn’t necessary, or even advised, you should be adequately served by your bank so that seeking services elsewhere is a choice rather than an obligation. Money moves differently than it did in the past. And we expect to bank with an institution that understands and innovates financial technology. We get paid through auto-deposit, reimburse our friends with Venmo, and wrangle our credit cards on Mint; we need bank platforms that make it all easy. We checked the app ratings and user reviews for our shortlisted contenders on iTunes and Google Play to ensure that we were recommending banks that offer clean, user-friendly interfaces and up-to-date tools. Anything that scored below 3.5 stars on either app service got the ax. "Fintech companies have been inspiring banks to compete in newer ways online for the last 10 years or so… Increasingly, there are ever-more features integrated into your digital banking experience to help improve your financial health in a variety of ways." Outstanding customer support, minimal fees, and a wide range of financial products and services. If you want to keep all your banking activity under one roof, we recommend starting your search with Ally Bank. Opening a checking and savings account with Ally is simple because, like most of our top picks, it has no minimum balance requirements or monthly maintenance charges. 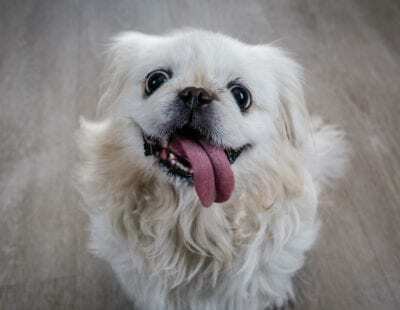 That means you can start with whatever you have on hand and Ally won’t eat away at your balance with unnecessary fees. It also offers one of the highest-yield savings accounts we found, at 2.2% APY. Ally also offers a full suite of banking services. Customers can open up a credit card, take out an auto or home loan, invest in an IRA or CD, and more. Ally affords you the simplicity of keeping all your finances in one place. The other reason we love Ally (and what put it at the top of our list) is its excellent customer support. Among all our contenders, Ally’s resources came out on top. Its reps are available 24/7 through live chat and over the phone; including phone lines for international callers and those hard of hearing. If you prefer, you can also connect through email, Facebook, Google Plus, or Twitter. Ally’s website also has a robust educational section that’s aimed at improving customers’ financial literacy. We like its Wallet Wise courses, which walk you through the basics of banking, budgeting, investing, and credit. When you’re ready to move beyond the basics, you can also check out Ally’s Do It Right community. It’s full of articles and discussion boards that share best financial practices for everything from college savings to estate planning. These tools empower customers to make smarter money decisions and help you get the most value from your Ally accounts. Ally charges a $10 fee for too many transactions. Customers who treat their savings account like a checking account, be warned. You can make at most six transactions per statement cycle—a limit actually imposed by federal law for electronic and phone transfers. Ally’s fee structure holds you to it. If you repeatedly perform too much activity in your savings account, Ally will eventually either close the account or convert it to checking. Ally Bank will also close your account if no funds are deposited within the first 30 days of opening it. Ally also has restrictions on wire transfers. While domestic outgoing transfers will cost $20 each, international transfers aren’t allowed. The widest network of ATMs among our finalists (over a million), plus CD rates starting at 2.81%. 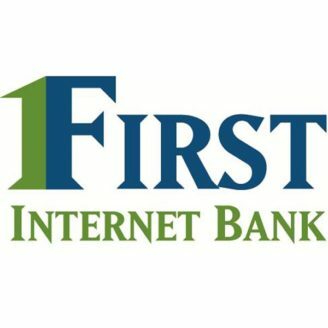 First Internet Bank offers excellent returns on certificates of deposit (CD) — fixed-term, high-yield savings accounts. CD rates, as with savings rates, can change, so it’s always worth double-checking close competitors like Ally and Capital One, but First IB has the highest CD interest rates we found. A one-year CD with just a $1,000 deposit will wrack up 2.81% interest. Other banks, including Ally, require deposits of $5,000 or more to qualify for rates above 2%. 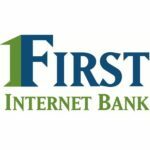 We were less impressed with First Internet Bank’s savings options, which have a maximum interest below 1%–0.75%, depending on your balance. While it’s not totally out of the league of competitors, online banks including Ally and Discover offer savings account interest above 2%. That uptick can add up to a chunk of cash. If you have $5,000 in a savings account, a 1% simple interest will earn you $50, while a 2% earns you $100. There’s also the international fee to consider, which at 2% on foreign purchases is double the standard fee — plus, a good number of banks don’t carry an international fee at all. A wide range of services, no international fees, and APY rates up to 2.10% for online savings accounts. What we really love about Discover, is that it doesn’t charge international fees. By comparison, our other top picks will slap you with a surcharge of 1-2% for every card transaction on foreign soil. It may not sound like a lot, but if you’re a frequent traveler those charges can add up quickly. We recommend looking into a Discover account if you travel often for business, if you’re a student studying abroad, or if you simply vacation a lot. Avoiding those small percentage charges could save you a lot in the long run. Discover offers a range of services, including credit cards, loans, and IRAs. Like Ally, First Internet Bank, and Capital One, it has no minimum balance requirements for checking and savings accounts. It even rings in the second highest savings APY among our finalists (just behind Ally), at up to 2.10%. The main reason Discover isn’t higher up on our list is that it has poorer customer support than our other top picks. We couldn’t find an email address listed on its site, and you have to be a member to use its live chat function — which meant we couldn’t easily reach a rep while we were comparing accounts. 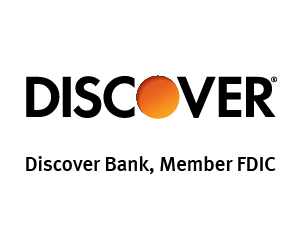 Discover does have 24/7 phone support, which we appreciate, but it lacks the variety of channels that are important for customer satisfaction. A solid online banking pick with physical locations and no international fees. While you won’t find Capital One outposts as frequently as you see US Banks or, for that matter, Chick-fil-As, there are Capital Ones available to you if your major qualm with transferring to online banking boils down to the loss of IRL money management. Capital One offers the increased interest rates of online options with the person-to-person contact of physical offices, or Capital One Cafés, as it were. Locations are cropping up in cities across the U.S., allowing you to bring your money questions to tellers and get a cup of Peet’s coffee while you’re at it. There’s no minimum balance to invest in a certificate of deposit, and the interest rate is competitive. Invest as little as a few hundred dollars in a CD with Capital One and start accruing 2.7% interest—that’s hot on the heels of the rates offered by Ally and First Internet Bank, but those banks require $5,000 and $1,000 minimum deposit respectively. 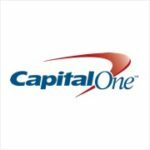 For those who travel, Capital One is a great option, nearly on-par with our top travelers pick, Discover. Like Discover, Capital One levies no international fees, meaning purchases made outside of the U.S. don’t earn you a 2% slap on the wrist. At 1%, the interest rate of a savings account with Capital One is just above what you can expect with First Internet Bank (where the going rate is 0.75%), but well below what you could be earning with some of our other top picks. If an interest-garnering savings account is important to you in the search for an online bank, you may be better off with Ally or Discover. For brick-and-mortar banks, it makes sense to do all your banking in one place — traveling between different branches to manage separate accounts and investments can turn into a hassle. With direct banking, however, you can hand-select the best options from multiple institutions. Many experts even recommend it. "Before you sign up for an account you should make sure you understand the fee structure. Hidden fees typically revolve around what your daily balance is, what ATM you use when you withdraw money, and whether or not you're overdrawn at any given time." For example, you might open up a high-yield savings account at Ally, and invest in a CD from First Internet Bank, or maintain a checking account with Discover for your annual vacations. This doesn’t mean you need to go overboard (most people would probably still find it a hassle to maintain several separate bank accounts), but be aware that online banking leaves you with many more options than you might typically have. You have the luxury of picking bank accounts based on what matters most to you. What’s the difference between interest rate and annual percentage yield (APY)? “It’s important to understand the difference between interest rate and APY,” says Matthew Goldberg of Bankrate, “because comparing APYs – not interest rates – is going to give you an apples-to-apples comparison of yields on an annual basis.” The number of times per year that you are paid interest dictates the value of that interest. That’s the magic of compound interest (you earn more interest on more money, so you want those deposits to be frequent) and that’s the nuance that APY encompasses. APY is the amount you earn on your investments over the course of the year. 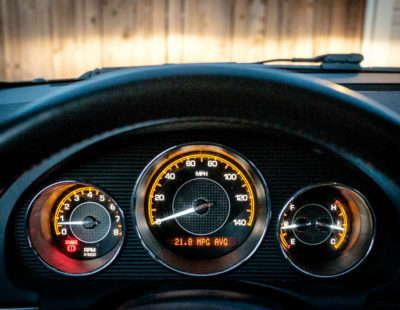 While we’re on the subject, what about APR? The annual percentage rate, commonly advertised by credit cards, is the interest you pay on bills that aren’t paid in full or on loans you’ve taken out from the bank. 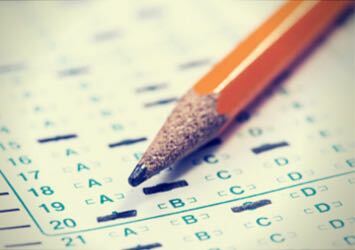 The answer may be different for everyone, but we recommend you start by analyzing your current financial situation. Calculate your debt, income, and any other expenses. Create a monthly budget and intentionally set a portion of your remaining income (after bills and essential expenses) to savings. You can even automate a monthly amount of money to be transferred into your savings account. Which credit union is best? Credit unions are not-for-profit banks that are member-owned. It’s essentially the co-op of the banking world. We considered credit unions in our search for the best bank, but none of them made it to our top picks. Nonetheless, credit unions offer every feature you’d need from a bank, including high CD rates and competitive APY. Smart financial moves add up to more than a plump wallet — they bring peace of mind. Read up on other money-related subjects to help you achieve net nirvana.